Apparently there is a workaround to download the Windows 8.1 ISO from the Microsoft servers using your Windows 8 product key. Yes, even the upgrade key works with this method. Why is this is a good news? Because Microsoft won’t deliver Windows 8.1 ISO file for “download to the public”. Microsoft has recently announced that the only way to update to Windows 8.1 is via the Windows Store and it won’t be making available an ISO file to the public, only for TechNet and MSDN subscribers. And let’s say you had a small business with 20 PCs, you’ll literally have to manually update each computer using the Store, downloading the installation files of about 3.5GB 20 times — now you’ll only have to do it once. 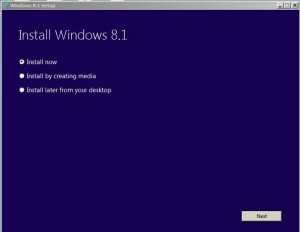 2 Scroll down and click “Install Windows” 8 (This will trigger the download for the setup assistant). 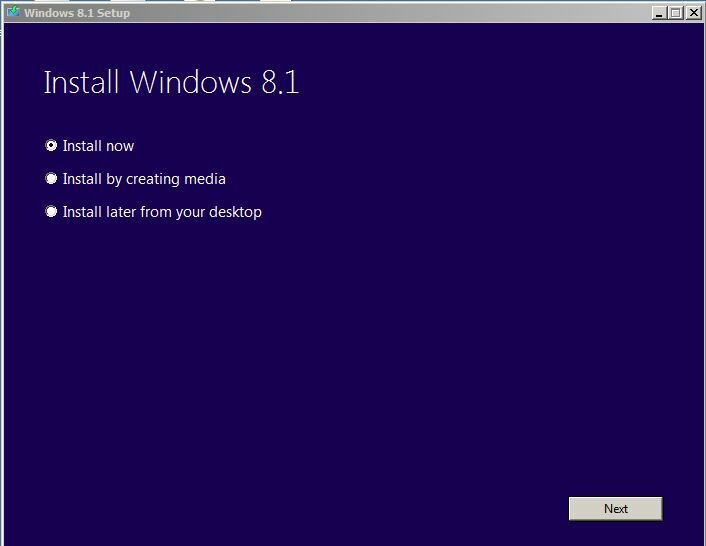 3 Launch the installer and enter your Windows 8, Windows 8 Pro or Windows 8 Upgrade product key, confirm that you will be downloading the bits for the version you paid for. Note: Keep in mind that this workaround only works with retail versions of the OS and not with OEM copies. 4 As soon as starts downloading, close the installer assistant from the (X) in the top-right corner. 5 Go back to the Microsoft Windows upgrade page, click Install Windows 8.1, and download the Windows 8.1 Setup assistant. 8 Choose to create a USB flash drive or ISO file, and click Next to finish. Even better this will also solve the “Insert Media: Some files are missing…” issue while using Refresh your PC or Remove everything in Windows 8.1. « Office 2013 or Office 365 – Do I trust someone else with my data?